Jade has not only been a phenomenal student at Window Rock High School but also in the Navajo community. Jade was able to produce a 3.95 weighed GPA and ranked one in her class while also being a youth leader for the Navajo Nation REACH-NCHO organization. On a national standpoint, Jade has presented at the National Conference of Teachers in Washington, D.C.. & at the National Tribal Public Health Summit in Atlanta, Georgia. One of Jade's biggest academic & community leadership accomplishments was joining the Math & Science for Minority Students organization which included the planning of the 2016 Cultural Sharing for Native American groups. Outside of the classroom Jade participated in Track & Field since 6th grade at Window Rock and has excelled as a leader within the team. In addition to Jade's athletic and leadership talent, Jade is gifted in the performing arts an has won in competition at various arts festivals throughout the Southwest. Jade is not only humble but also astonishing, loyal, and motivating among her Navajo community, school and across the nation. Along with serving her team and community, Jade participated in band for 4 years and was the section leader for saxophone, clarinets and violas. Jade is an amazing role model and will rise to any expectation. Jade plans to attend Standford University and pursue a career as a Research Physician. Maverick has demonstrated that even with being a three sport, he was still able to maintain a 4.0 GPA throughout his Honors and Advanced Placement classes. Along with being the Verrado High School football caption, he was also part of the Leadership Council & the National Honors Society President. As the president, Maverick lead over 100+ students at his school, facilitated both board and general meetings & NHS events. On top of playing football, basketball and track & field, Maverick also has other astounding awards under his belt. Maverick was awarded the Cox 7 Student of the Week his senior year, the 2016 Vipe Award (an athlete who exemplifies character on and off the field) the 2017 National Football Foundation Scholar Athlete and the 2016 Unified Partner of the Year for Special Olympics. Maverick also strives to be a role-model for his school and community. He is involved in various community programs that include Youth Activation Committee, Special Olympics, Peer Tutoring and meets weekly with the Fellowship of Christian Athletes. Maverick has so much energy, passion and leadership skills, he organized countless hours and opportunities for thousands of students to participate in the Unified Sports Program. He has definitely gone above and beyond for his school. Maverick plans to continue his education at Arizona Christian University to study Law. Jenda Ballard has been coaching sports and teaching youth the importance of commitment and teamwork for over 30 years. In addition to coaching Chino Valley’s Cross Country and Softball teams since 2010 and 2015 respectively, Coach Ballard’s passion for inclusion led to the addition of the school’s first Unified Sports team in 2014. An inclusive sports program which combines students with intellectual disabilities (unified athletes) and students without intellectual disabilities (unified partners) on sports teams together for training and competition, Unified Sports has since exploded at Chino Valley High School. During the 2016-17 athletic season, Ballard coached Chino Valley’s Unified Soccer team, Unified Basketball team, and Unified Track and Field team. In four short years, Unified Sports has transformed the school climate at Chino Valley under Coach Ballard’s leadership. By creating friendships on the field, Unified Sports has led to friendships off the field and a school campus where students with intellectual disabilities are truly included as part of the “Cougar Family”. Through her passion for inclusion, Coach Ballard has shaped a new vision at Chino Valley High School, which allows all individuals, regardless of ability, to experience the joy of sport and friendship. Karen went to teach Economics & coach at Seton Catholic Preparatory in 1992, just one year out of her college basketball career at Arizona State University. During her time at Seton Catholic she has built a basketball program that has 9 State Championships. The Seton Catholic Sentinels won over 22 consecutive Regional/Sectional Championships. Through 25 seasons Karen's overall record is exceptional and the program she built is outstanding. Karen definitely is a great role model to the lady Sentinels in teaching the players to compete with class, integrity, sportsmanship & has taught the players to conquer their fears on & off the court. Karen knows that sports is such a valuable tool for student athletes. On top of Karen's passion to coach it has lead to many recognition's and over 12 awards. In 2008 Karen was awarded the Phoenix Suns Spirit of Cotton Award, which recognizes a high school basketball coach in AZ who consistently demonstrates the best qualities of a coach, educator, mentor and community leader. 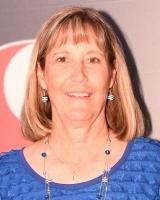 Other awards that Karen received as a coach were WBCA Finalist National Coach of the Year, AZ HS Coaches Hall of Fame Inductee, AZ Republic Southwest Valley & Economics Teacher of the Year. Karen is not motivated or driven by award and accolades... she is driven by an inner passion to make a difference in the lives of the students and athletes that she has the opportunity to teach and influence. Ravelle Fredrickson is a genuine, kind, gentle young women with numerous talents. She can sing, act, lead, is extremely artistic all the while maintaining 4.0 GPA while taking the most difficult courses offered at Desert Christian High School. Not only is Ravelle part of the The International Thespian Society but was also played on the volleyball team for 3 years in her high school career; a young women of many talents. Her academics have also stood out in her school and had the privilege of being part of the National Honor Society and Honor Guard. Ravelle's community was also fortunate to have her as part of the leadership at Calvary Chapel Tucson and worship leader at her high school. She strives to love others and walk beside them in their troubles. Many are excited to see this role model become an exquisite adult. Ravelle will be attending Grand Canyon University with a pursue in Elementary Education. 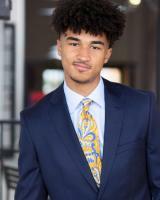 Isaiah has been able to balance leadership, academics, school activities and personal integrity, all while maintaining a 4.0 GPA at Desert Christian High School. Isaiah is highly active in the school community. On top of playing high school basketball his four years at Desert Christian, Isaiah had a leads in fall and spring musicals. He has a huge passion for music & what better way to show his talents on a theater stage & at the weekly chapel program. This young man shows not only leadership but commitment to his school by being part of the Desert Christian student government, National Honor Society, Honor Guard and the Thespian Society. The Desert Christian staff and students describe Isaiah as dedicated & determined however, his compassion, empathy and love for Christ define him. Isaiah join a mission trip to Mexico to help on service projects in the community and church. The children in that community were very grateful and impressed that a young man such as Isaiah could have such a huge heart. Spend 10 min young man and you will see great depth of character, kindness, and and unquenchable desire to perform in all areas of his life in humble excellence. Isaiah is undecided about which college and career he wants to attend but hope that his faith will guide him into final decision. 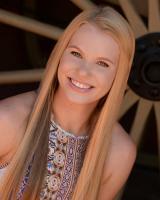 Sabino High School's student body president Kayla Galbraith is a young women of character, intelligence and talent. 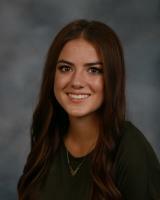 Kayla is ranked in the 2% of her senior class and has earned numerous academic awards from the Sabino Silver Award, Sabino Academic Letter and American Legion Girls State Award. Kayla has been active in cheerleading throughout her high school career and has led the team to state and national competitions. She has also participated in the Dance Club (president) where they have performed in numerous school assemblies and district celebrations. Besides cheerleading and dance, Kayla has found the energy to play on the girl's soccer, golf and tennis teams, and, amazingly, she is currently the tennis captain. Kayla is a hard working, positive team player and sets high goals and works hard to archive them. Kayla is pursing a career in nursing and dance & would love to teach her love for dance to patients to help with their health. Sarah from Blue Ridge High School graduates in the top 4th in her class and with a 3.93 GPS. Sarah has been an exceptional member of choir, orchestra and the theater program at Blue Ridge. She is an incredible talented young lady that also has qualities of maturity, leadership and responsibly. Sarah makes this all obvious in her grades, rehearsals and the fact she always puts others first. As a section leader in choir and orchestra, she is looked up to by many of the students and her ability and dedication to the community. In the world of theater, Sarah has entered the world with a fresh outlook and incredible "Can Do" attitude. 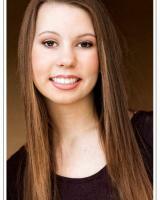 She began in the theater program as a cast member and has progressed to a lead in out latest musical at Blue Ridge. As a National Honor Society member, Sarah also made sure to help her community at Salvation Army, Feed My Starving Children and a community church. Sarah will definitely continue to be an exceptional leader. Through high school at River Valley, Genavieve has maintained a cumulative GPA of 3.92; takings such rigorous courses as Honors English for 4 years, and dual enrollment classes in biology, US/AZ history, anatomy and senior English; all this while participating in for four years in the River Valley High School Speech and Debate team. She has also been an active camp counselor at Sunshine Kids Art Camp for several years; volunteering is a huge passion for her. 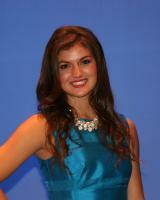 Genavieve is also a member of the National Honor Society and student council at River Valley High School. In Speech and Debate, Genavieve has done a fantastic job as competitor, winnings many awards and gaining prestige amongst her peers. She has competed and won in several different events including: Duet Acting, Humorous Interpretation, Poetry Interpretation, Prose Interpretation, Impromptu speaking and Public Forum Debate. Both speech and debate has taught Genavieve many different aspects to succeed in life. Genavieve will be attending Northern Arizona University to become a Genetic Counselor. Brynn is a marvelous student from Mountain View Mesa High School and is an example to all around her with her service oriented life. Brynn currently has a weighted GPA of 4.0 and is ranked 87 of 732 students. She is also highly active in her church, community and part of the Distinguished Young Women's program earning the Fitness Award. Cheer has been, and still is, a major part of Brynn's high school years. She had been a member of the varsity team for four years! This is almost unheard of at a public schools size of Mountain View. Typically, students spend a few years at junior varsity level , but not Brynn. Her athletic ability, attitude and overall personalty led her to a spot on the varsity team right away. 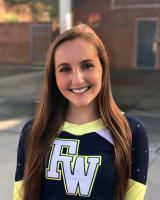 As a National Honor Society, Brynn also was head Cheer Captain and lead her team to both State and National competition. Its is obvious that Brynn is an intelligent student who works hard at both her academics and activities. Brynn will be attending Brigham Young University to study Law and continue her cheerleading carerr. James is one of the most exceptional JROTC students at Rio Rico High School. He is a man of integrity and sets high standards not only got himself but his peers. As the Battalion Command Sergeant Major he could always be counted upon to get the mission completed while still caring for his subordinates. His leadership and loyalty to his fellow students in the program has continued to impress everyone. James understands the importance of giving back to the community and has been a key asset when it comes to getting the students involved & working to help the community. This young man was ranked 5 out of 299 at Rico Rico and achieved a 3.9 GPA. 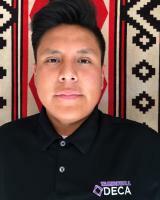 Along with great grades and being a role model for his peers, James has received numerous awards including the Wildcat Excellence Award from the University of Arizona as a senior in high school. The highest and proudest awards is the Presidents Award for Education Excellence from the United State Government & also a Certificate of Special Congressional Recognition from the United State Congress. 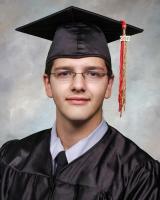 James is going to attend University of Arizona and study criminal justice, as well as join the US Army. Alyssa has been an outstanding student at Buckeye Union High School who has been involved in many Fine Arts Activities. Alyssa has excelled in Theater, marching Band, Concert Band and Winter Guard. In addition, Alyssa is a member of the National Honor Society and Skills USA which place a great deal of emphasis on community service. Alyssa demonstrates and truly understands the meaning of teamwork and has displayed outstanding leadership as the the Theater Club President and section leader in band. Her contributions include have been working with theater technicians and artists in both theatrical and academic settings. Alyssa is an upstanding student and currently carries a 4.0 GPA and ranked 13 out of 355 in her class. Through National Honor Society Alyssa has been involved in "Pennies for Patients: fundraiser as well as :Relay for Life" raising funds for cancer research. Alyssa has demonstrated time and again that she is a dedicated person of exceptional character. Starting at University of Arizona, Alyssa will be studying accounting. Claire is an outstanding student at Flowing Wells High School. She goes above and beyond what is expected of her and is a true leader on campus. Not only did Claire practice and compete with the Flowing Wells Cheerleading team, she also juggled her time playing Volleyball and Tennis all four years; team captain on both teams. Claire has been part of College 101; a club to preparing students for college, National Honor Society and Link Crew; integrates upper classman and lower classmen in order to teach the freshman the ropes around campus. She maintains balance between sports, clubs and her academics. She has always taken higher level classes and has performed consistently above average in all of them as reflected by her cumulative GPA of 3.9. This year especially, her thorough work ethic helped her become the Adriana Division I Partner Stunt Runner-Up, a very strong accomplishment. 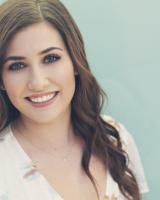 Claire will be attending Arizona State University to become a Nurse Practitioner. Chloe's intense commitment to her academics at Chaparral High School has been quite impressive given that she is in more than one AP class and has pom commitments for a minimum of eight hours a week. Chloe's academic success was honored on the team last year, when she was named "Outstanding Student Athlete". This award is given to the teammate with the highest GPA throughout the school year. On top of being co-captain two years in a row, Chloe was part of the Nation Honor Society, Junior Purple Society Club leader and a Child Help Student Ambassador. If it wasn't enough she also volunteers countless hours with several organizations like ST. Mary's Food Bank. Miracle League of Scottsdale, Susan G. Komen Foundation, Child Help. Junior Purple Society and the Alzheimer;s Foundation. Chloe is sure to continue leadership through college and in her everyday life. Chloe plans to attend ASU and join the ASU Dance Team. Megan is a tremendous leader at Valley Christian High School. She has been a leader on both the volleyball and basketball team, which have been very successful at the state and culminated this year leading VCHS to the state basketball championship. 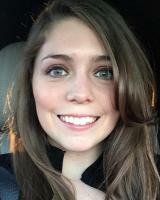 With so much involvement in her school and community Megan managed to maintain a 3.9 GPA. Megan most outstanding characteristics is her love and care for people. She has been very active with volunteer work as well as missions to Romania to work with young children. Megan does not choose to be a leader because she wants to be known, but wants Valley Christian to be a light in the community of Chandler. Embry-Riddle Aeronautical University is where Megan will study Forensic Biology in hopes to join the FBI. Jacob is a true leader and genuine example of the the Tempe Preparatory community. As a three sport athlete (soccer, football and track & field) Jacob was able to achieve outstanding performances in the classroom as a top student with a 3.9 GPA. 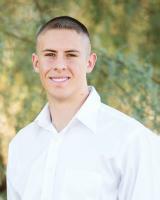 For all three sports throughout his high school career, Jacob served as team captain for all sports & is a mechanical team member for Tempe Prep Robotics team. All his teammates looked up to Jacob and his coaches were impressed to see such a young man with a huge heart & leadership skills. While balancing an academic and athlete life, he also served his community with over 900 hours of community service. Most those hours included Boys & Girls Club, Family Promise Homeless Shelter, Feed My Starving Children, Faith through Works and a few churches in his community. Its no wonder this exemplary young man was also awarded numerous awards and Honors. 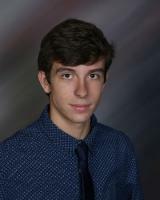 While being a member of the Tempe Prep National Honor Society & taking all honor courses, Jacob was awarded the U.S. Congressional Award (Gold Medal), the Rensselaer Medal & Scholarship, West Region Winner in First Robotics and countless excellence awards. Jacob will surely continue to be a great leader in his community and after his high school career. Carissa has been an excellent student and athlete with a cumulative GPA of 4.0 which ranks her 4th in her class at Sabino High School. Along with her outstanding academic resume, Carissa is also the Sabino Senior class president, treasure for the National Honor Society, key club officer and part of the advanced theater program. 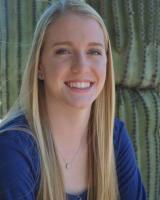 Athletically, she has played Varsity volleyball ball for all four years at Sabino earning All-State recognition. Carissa has excelled as both leader on campus and leader o n the volleyball court. In addition to being president of student council and holding leadership positions in many clubs, Carissa has been a team captain twice on the volleyball team and captain on the girls Track & Field team. As an athlete she has been named All-Region Player of the Year & All-Conference Team. Carissa also manages her time to volunteer for numerous groups including organizing the can food drive every year. Carissa's choice is Forensic Pathologist to a college of her choosing. Claire has demonstrated success in both her academics, athleticism and outside her community while maintaining a 4.0 GPA at Salpointe Catholic High School. On top of being a three sport athlete, Claire is also the drum major in the school band, Cross Country captain, Track captain, part of th National Honor Society & balances a part time job. 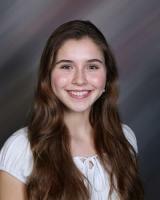 This year as captain, Claire led her team to the Womens Cross Country Division III State Title. It is rare to meet a high school student who has such tremendous talent, while maintaining a sense of humility that fuels her competitive spirit. Claire will hopes to study Physical Therapy at either Marqutte, Boston University os Saint Louis University. Ezlie desire to succeed is a reflection of her commitment to academics. She has currently earned a GPA of 4.0 & ranked #1 at Yuma Catholic High School. The term student-athlete fits Ezlie very well. Not only was Ezlie part of the varsity team, she earned a starting spot on the soccer team since her freshman year. SHe always plays with a lot of passion and enthusiasm and leaves all efforts on the field. Because Ezlie has excelled in soccer, she has received various awards during her high school career including 3A All-Region Tem and the Yuma Sun Athlete Award. Outside of soccer, Ezlie is a member of the National Honor Society, where she has performed numerous service hours for the Yuma community, specifically in cancer awareness. She is honest and displays integrity in her work both on and off the field. Ezlie will be attending the University of Arizona to study Pre-Med to become a pediatrician. Christopher may have been a shy young man but he didn't let fear stop him from becoming the 3rd top student in his graduating class with a 3.97 GPA. He pushed himself to do the best in all of his classes, including numerous advanced classes at Duncan High School and at Eastern Arizona College. He definitely is a triple threat completing courses in high school, college and being a five sport athlete; football, basketball, baseball, golf and tennis. Amongst these sports basketball was played in all four years at Duncan High School. Chris also understand the importance in excelling his academic coursework but in his church & community involvement. Chris spent 8 years in Boys Scouts of American assisting in numerous young men with projects; imagine all the badges Chris must have gotten as a scout himself. Christopher makes the choice everyday to demonstrate honor, discipline, excellence and accountability among his school and community. He made sure to be very involved with schools clubs such as Future Business Leaders of America, Knowledge Bowl and National Honor Society. 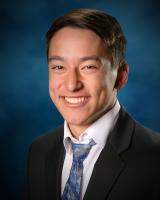 This homecoming king has also be awarded over 20 awards being such a young remodel; some including the Bi-County Science Fair, US Army Reserve National Scholar Athlete Award & the Eastern Arizona Science Initiative Regional Winner.It is without a doubt that Chris will excel tremendously after high school. Christopher is going to study Biology as an undergrad then transition to a medical school to study Radiology. 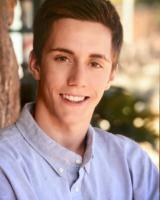 Travis is a young man of high character and highly respected at Sabino High School by both the staff & peers. Travis is a high-achieving scholar and is driven by success principals. This young man maintained a 3.9 GPA as a three sport athlete on top of National Honor Society, Student Council and Fellowship of Christian Athletes. This region Player of the Year life has been truly impacted by volunteering for "Lost Boys" which involved his family in adopting a refugee & supporting them in their transition to the American life. This experience has impacted Travis and given him a different outlook in life and appreciation for family, friends and life. On top of scholar and athletic recognitions, being a leader both in and out of school, Travis has been quite involved in band as a fine trumpet player and stage theater. He is a very dedicated student who continues to meet and exceed his personal goals and aspirations. He will continue to be an exceptional leader after high school as he is kind, caring and compassionate. Travis plans to study business, sports management or anatomy. At Perry High School, Jordyn is the type of student who is well liked by her teacher due to her intelligence and willingness to participate in class. She frequently leads class discussions and isn't afraid to speak out or give her opinion on controversial topics. Jordan has taken multiple honors and advanced placement classes leading her to obtain a 3.95 GPA. Athletically, Jordyn has excelled in high school through hard work on the field and in the weight room. She has been a member of the Varsity softball team since her freshman year and participated in badminton one year. Jordyn has earned the very prestigious Perry High School Multi-Sport Athlete of the Year Award. While Jordyn's success as an athlete is clear, its her off field strength that really set her apart. She is a well-rounded student, who participates in athletics, we well as the symphonic orchestra where she is an exceptional viola player. On top of all this, she finds time to volunteer in the school as a part of the Link Crew, National Honor Society, a peer tutor and Feed My Starving Children. Jordyn will be studying Engineering at Brigham Young University. 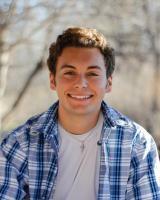 Zachary is gifted in both academics and athletic & has been a prominent figure at Canyon del Oro High School. Serving as part of the CDO student government and taking rigorous AP classes, Zach was able to balance it while being a four sport athlete. As the schools Vice President and percussion band member, Zach spent several hours shadowing the anesthesiologist at University Medical Center in order to learn more about the field he is interested. Zach has volunteered for the Special Olympics and has helped special education students to have an integral role during assemblies and in other activities on campus. With so many region and conference recognitions under his belt, and academics recognitions all Zach's family and peers have no doubt that he will succeed to the max after high school. 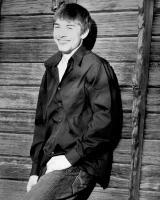 Zachary has his heart set on studying medicine as his mother as a anesthesiologist at Northern State University. Gabrielle is an excellent student from Chandler High School participating in soccer, cross county and Track/Field all while maintaining a 4.0 GPA, putting her ranking 3 out of 677 students. 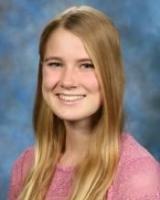 She was part of the Advanced Placement academic program and participated in numerous students activities which included the Interact Club, French Club, Math Club, and the school Orchestra. Gabrielle was always someone who was willing to go out of her way to help others ina time of need. She volunteers in her church organizing various outreach programs like Relay ofr Life and Feed My Starving Children. While participating in soccer, cross country and track & field, Gabrielle also plans to study Biomedical Engineering at Massachusett Institute of Technology. Maya is an outstanding and ambitious student from Dysart High School. Serving as the student body president, Maya has been instrumental in planning and coordinating Dysart campus-wide assemblies and activities such as Homecoming, Talent Show and Prom. In addition to being a mutli-sport athlete, Maya has maintain a 4.0 GPA and ranked 2 out of 334 in her graduating class. Maya chooses to challenge herself academically by taking non-core area courses outside of the school day so she can maintain student council and still get as many honors classes as possible. Maya has received many recognitions such as the Black Canyon Region Player of the Year for Volleyball and the Basketball Defensive Player of the Year. Maya will be attending the University of Arizona to study Political Science. Emily's positive attitude, exemplary sense of integrity and generous spirit have have truly enriched the Xavier College Prep campus the last four years. Not only a four-year member of Xavier's state championship Badminton team, but also a dedicated member of the Yearbook Staff. Emily understands the need "to set meaningful goals and work together [with one;s team] to achieve them." She has been a recognized leader, serving as Team Captain, President of Girls Have IT, Yearbook Editor, Presidents Council member and a two-year Student Council Senator. Moreover, this creative and compassionate young woman has taken initiative to found and personally implement a health education program for students at a local Title I school and, in the process, discovered "that I want to devote my life to educating children, keeping them healthy and motivating them to succedd." Emily wants to continue to involved in Badminton and study aboard. Rhett is a unique combination of leadership by example and the person who says just the right words at the perfect time. His personal work ethic and desire for excellence has put him in the top 5% of his class, with a 4.0 GPA. With all his honor classes, As football team captain at Catalina Foot Hills High School, Rhett lead his team to the 2016-17 state championship. His teammates rose to the level of commitment and passion he displayed in practice, during game time, and in between. Along with motivating his teammates, Rhett helped a few days a week as a peer tutor for the Freshman and JV football players. As the 2016 Southern Arizona Offensive Player of the Year, he balanced being the son of a head coach at University of Arizona; not an easy task. But what he has learned from his father he has taken with him to Catalina Foothills, to be a positive role model who is respected by peers and staff. Rhett will purse a degree at the University of Arizona as he is signed to play football at U of A.
Brendan is in the top 5% of his graduating class at Saguaro High School. As a straight A Honor Roll student since 6th grade to senior year, Brendan has become a true leader in school and on Saguaro's basketball and boys volleyball team. His leadership is the kind that brings out the best for his team and never puts himself first. That kind of attitude of rare and speaks to his character. Brendan has always challenge himself by taking honors and Advanced Placement course work. As the "Wendy's Heisman" Scholarship school winner and 5A Southern Region First Team recipient, Brendan will take all his has learned from on and off the court to his college career. 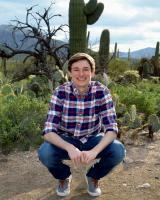 Brendan will be studying Physical Therapy at Benedictine at Mesa University. Ryan Bender has been the Desert Vista High School "Student Athlete of the Year", three years running and has done with this with class. Ryan has participated in many clubs and held numerous leadership roles. He is currently a member of the Desert Vista High School Student Council and Nation Honors Society. He has also been a counselor of St. Vincent de Paul and the on-campus "Thunder Tykes" preschool program. With being a 2 sport athlete, many extracurricular activities, Honors classes, and a part time job - still somehow manged to obtain a 3.93 GPA. Ryan knows that good values will take you further in life and will continue to achieve his goals. Ryan will be attending the University of Pennsylvania as a Track & Field Athlete. Sandy Novak is a teacher, coach, administrator and mentor who has dedicated her life to education and always puts her students first. 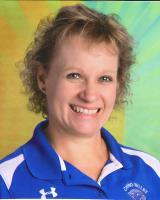 She has set the standard of excellence throughout the state of Arizona. From 1988 to the present, Sandy has served at Sahuaro High School where she has been a strong leader in the progression of girls sports in the Tucson Unified School District. Sandy has been honored numerous times including the Arizona Coaches Association Female Coach of the Year, the AIAAA 4A Conference Athletic Director of the Year and the Arizona Daily Star Coach of the Year 6 times. 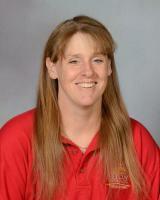 She was also named to the Sahuaro High School Cougar Hall of Fame and the Pima County Sports Hall of Fame. These honors have come as a result of her service, high moral standards, impeccable character, honesty and integrity. Tom Kioski worked for the Cox 7 football game of the week for more than 35 years as a cameraman. This has been more than 200 games over his career which was televised on American Cable, Dimension Cable and Cox Communications. Tom is a proud graduate of Bourgade Catholic High School where he was a marginal athlete in football and Track & field; Tom finish 5th place in the Long Jump at the Ajo Invitational Track Meet in 1969. 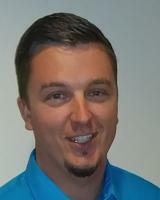 Tom continued his education at Arizona State University & graduated with a BA in History. Tom's career started TV work in 1971 at KAET as a Crew Chief & Studio Manager. His experiences lead him at other opportunities working for KPHO and KTVW. Tom is mostly excited about working football games and will continue his career doing freelance fot mostly sports networks. For the past two years, Travis Haley has revolutionized inclusion and sportsmanship at Buckeye Union High School through his work coaching Unified Sports, an inclusive sports program which combines students with intellectual disabilities (unified athletes) and students without intellectual disabilities (unified partners) on sports teams together for training and competition. During the 2016-17 season, he coached four Unified Sports including: Unified Swimming, Unified Flag Football, Unified Track and Field, and Unified Basketball. Coach Haley leads by example as a genuine role model and is able to adapt virtually every situation as an opportunity to help Unified athletes and partners learn and grow. He has helped many students, who previously felt insecure about competing in sports, develop their skills and build their confidence to a level far beyond their own expectations. Through Coach Haley’s leadership and mentorship, he has also helped to expand Unified Sports to four different campuses within Buckeye Union High School District. He truly exemplifies the spirit of sport, inclusion, and teamwork through his coaching style, actions and example. 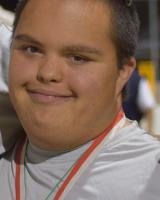 After four years of being on Chino Valley’s Unified Sports team, Tyler embodies the true spirit of inclusion. As the captain of his Unified team, Tyler leads by example by always giving 100% effort during practice or when competing in any competition or game. Never hesitating to cheer on his team, he exemplifies the principles of sportsmanship and what it means to be a good friend and teammate on and off the field. Tyler’s infectious personality and immediate, unwavering inclusion of any student (or staff), has changed the school climate at Chino Valley High School to one of acceptance and respect. His passion and ability to motivate his teammates and school community have helped make CVHS’ Unified Sports team the success it is today. As an advocate Unified Sports, he is proud to be a CVHS Cougar and has presented to the school board and other groups to share his experiences and the impact of inclusion. His impact on Chino Valley High School is truly immeasurable. When Isaiah stated attending Washington High School two years ago, there was not a Unified Sports team on campus. As a peer tutor in a special education class, Isaiah took it upon himself to build a Unified Sports program from the ground up. With his unique, fun spirit and outgoing personality, Isaiah has recruited students from many different groups on campus to emphasize the principle of inclusion. His intuitive knack for pairing unified athletes (students with intellectual disabilities) and unified partners (students without intellectual disabilities) has resulted in truly meaningful friendships and a sense of camaraderie that extends after the final game buzzer. Not only is Isaiah a perceptive and innovative leader, he is also patient, kind, and respectful to all students on campus. Isaiah truly exemplifies what it means to be a good role model. In addition to mentor many students on campus through tutoring and friendship, Isaiah is constantly brainstorming ideas to advocate for individuals with disabilities. During March 2017, he helped organize a “Spread The Word To End The Word” Campaign on Washington High School’s campus. The R-Word Campaign educates others on the harmful impact of the R-word, and encourages them to pledge to end their derogatory use of the word. Isaiah gave up his lunch hour the day of the campaign to persuade over 500 students pledged to end their negative use of the R-Word during the school’s 2017 campaign. There is no doubt that Isaiah’s passion and dedication will continue to positively impact the lives of those around him for many years to come.